In today’s world of technology, apps, and notifications, online teachers have a massive challenge in their hands – keep students focused. Are your students paying attention throughout the class? The key to improve your online classes is to increase engagement. This blog post will help you deliver engaging online classes and drive your students’ focus back to you and away from distractions. How to increase engagement & improve your online classes? It’s so easy getting distracted by the world that surrounds us, isn’t it? Younger children are naturally capable of concentrating for shorter periods of time. Technically, the older we get, the longer we should be able to pay attention for if it weren’t for our toys, aka smartphones and other fun little gadgets. Engagement is the antidote. Getting your students engaged, regardless of their ages, will help them stay focused in your lesson and learn the most. 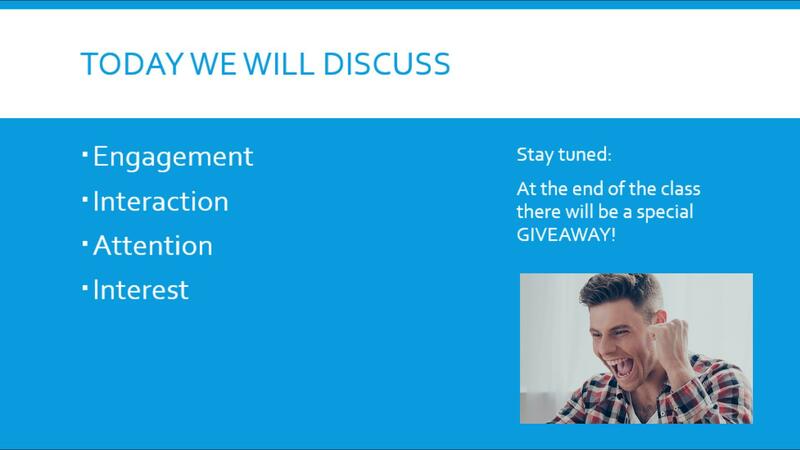 We’ll go through each of these topics so you can have enough resources to create your engagement strategy. Some of them were based on ManyCam’s features, which you can download it for free here. 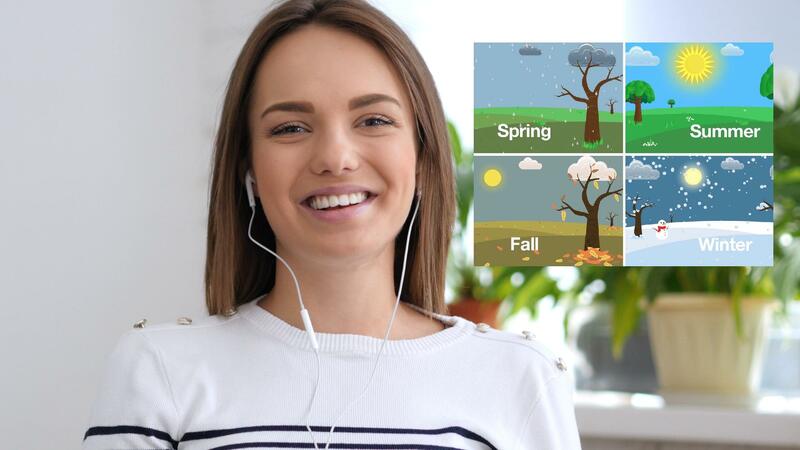 A live streaming software, like ManyCam, can be connected to your video calling app or teaching platform. Plus, you’ll have many engagement tools, and it will make your life a lot easier. Especially during live online classes, interaction is critical. It goes hand-in-hand with engagement. When students participate, they are more likely to learn and to stay focused. Another fantastic way to increase engagement and drastically improve your online classes is using visual elements. Humans are highly visual beings and playing on this stimulus can help your students stay focused on you. When you add a digital prop related to the subject of your online class, it increases the interest around it. Effects can also help you lighten the mood and create a fun learning experience to your students. Using graphics overlays, such as lower thirds, helps your students keep up with you and your class. You can write anything related to your subject to maintain interest in your lesson. Have you noticed how they use it during the News? They usually write what’s coming next. Even if you’re not that interested in the current piece, you might hang around for the next one. To drive your students’ focus, write and draw on the screen. It’s a great way to make sure your students get on the same page as you. Drawing arrows or highlighting vital components can be particularly helpful. Engagement can also be achieved through variety. Sitting in front of the camera and talking the entire class, is not an exciting class for your student, at all. Varying your sources can help you create a dynamic and exciting class. 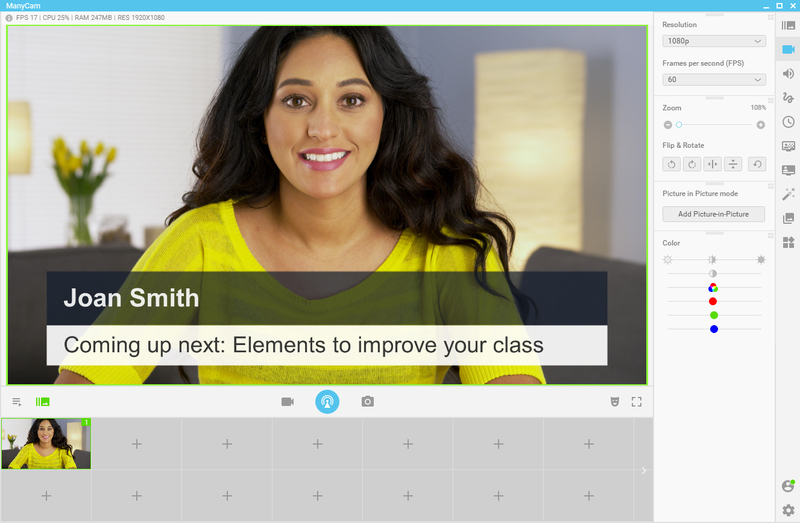 Instead of just using your webcam, with ManyCam, you can add multiple video sources to improve your online class. 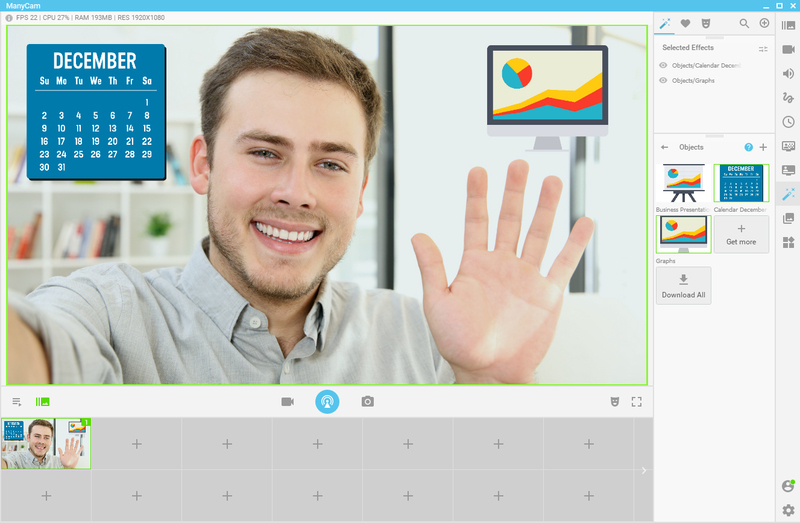 You could add a second camera, share your screen, use picture-in-picture windows, show presentations, play recorded videos, place images and much more. Switching between different camera angles is highly effective when it comes to increasing engagement. Your main camera can be your webcam right in front of you, and your smartphone can act as your second camera, positioned at another angle (e.g., 45-degree angle to your right or left). Another element of variety that helps keep students engaged is a slide deck presentation. Depending on the complexity of your subject, you can create a slide deck to navigate through the concept without getting students confused. 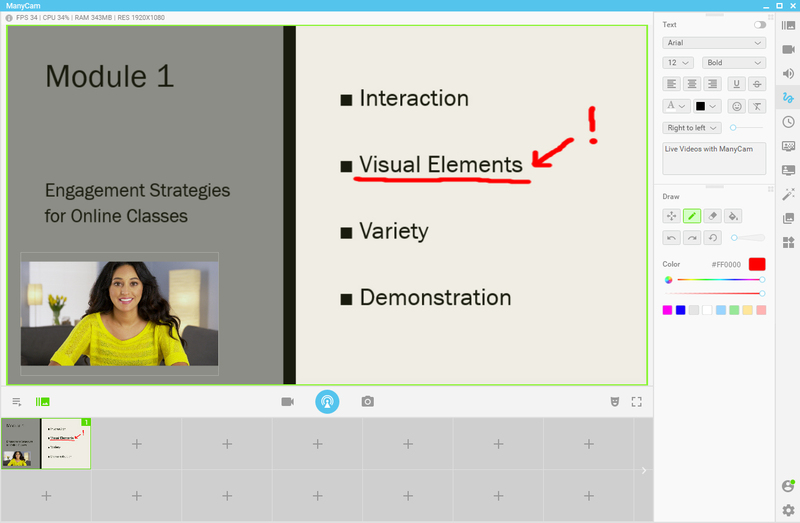 When your students main view is a slide deck or your screen, make sure you add Picture-in-Picture window of your webcam. It’s vital that students can still see you and establish a connection with you. Otherwise, it’s much easier for them to get distracted. Show examples of what you are saying or show how it’s done. Share your screen or add pre-recorded videos and images that exemplify your subject. If you are teaching another language, displaying a picture with the word can help students associate the new vocabulary. Your online class needs to be interesting enough for YOUR students. It’s about them. The more you get to know your students, the easier it will be to increase engagement and improve your online classes. Some engagement strategies might work with one student but not with the next one. Which is why having different tools is crucial to achieving maximum engagement. Try these techniques and keep an eye out for the outcome. Notice what works and what doesn’t and keep optimizing.